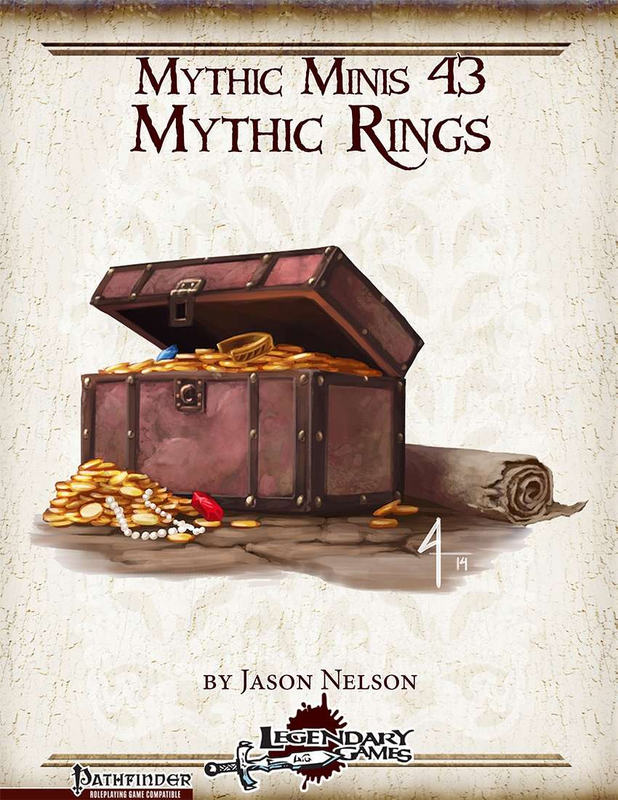 Mythic Rings is our second Mythic Minis devoted to mythic magic items that create unique mythic effects. Some can be used only by mythic wielders, while others are useful for all characters but have effects enhanced or new abilities unlocked in the hands of mythic wielders. Mythic Rods brings you 4 brand-new items, the gauss ring, ring of returning, ring of truth, and ring of warmth! Nobody knows mythic like Legendary Games, and whether it’s new mythic feats, class abilities, path abilities, magic items, or anything else, every Mythic Mini delivers a delicious dollop of dazzling design that will fill out your mythic experience one slice at a time. Check for a new Mythic Mini every Monday to make your game just a little more Legendary! This title was added to our catalog on November 25, 2014.